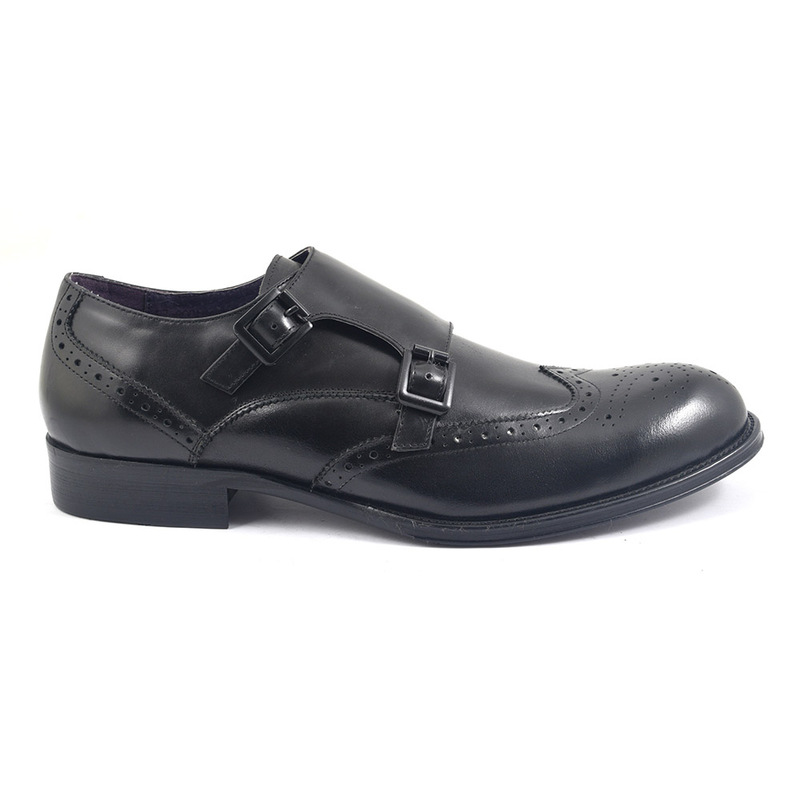 A solid black double monk strap with brogue detail to the wing tip and toe cap. The leather is highly burnished and it works with a formal suit or something more casual. Who would believe the religious origins of this shoe if it weren’t for the name. Monks many moons ago began to wear this style of shoe as they were more practical when working and easier to slip on and off than lace-up shoes. Over time, these shoes became synonymous with formality and the Wall Street Journal described them as “one of the most advanced dress shoes”. Add to the mix the brogue detail and we have an uber formal shoe which will stand you in good stead in the business environment as much as on a dinner date in a fancy restaurant. Shoes say a lot about a man and these mean business. 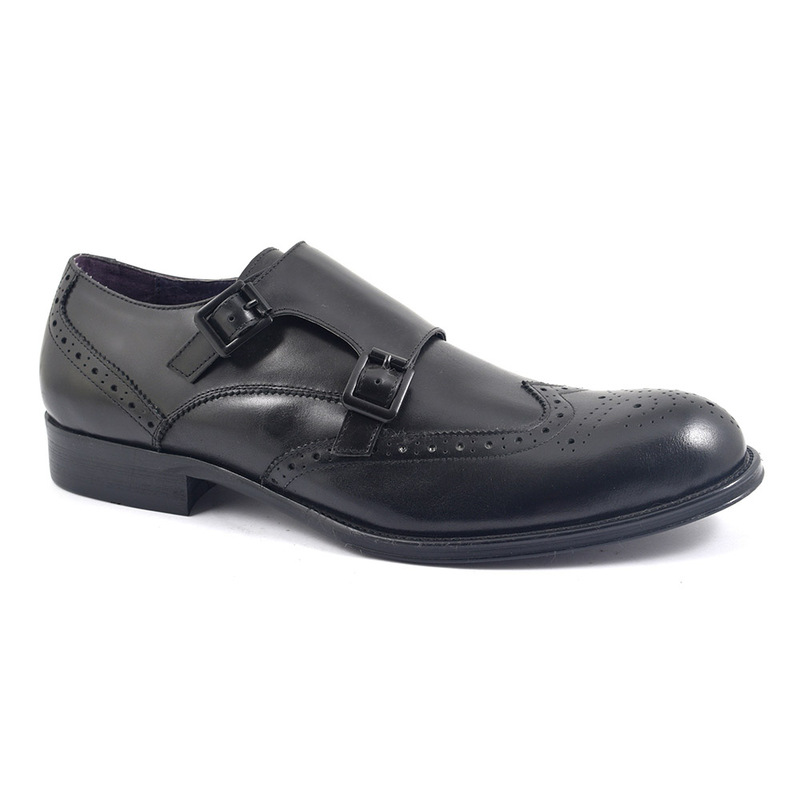 Be the first to review “Zanta Black Double Monk Strap” Click here to cancel reply.